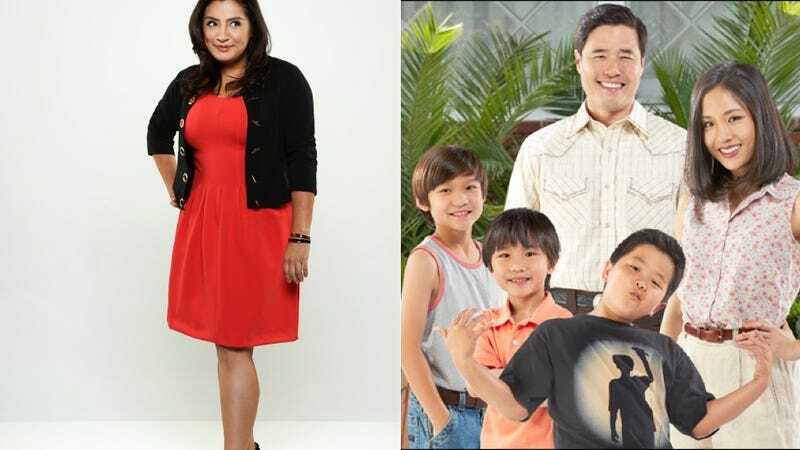 ABC has picked up two new comedy shows for its 2014-15 lineup, the Asian American Fresh Off The Boat and the Latina-led Cristela. Both shows take a stab at depicting the American dream from two first generation writers of immigrant parents, Cristela Alonzo from Mexico and Nahnatchka Khan, from Iran. Go diversity! Fresh Off The Boat, according to Deadline Hollywood, will be loosely based on chef and Vice show host Eddie Huang’s memoir of the same name. The show, penned by Don’t Trust The B in Apartment 3 writer Nahnatchka Khan, follows a Taiwanese family as they move from Washington D.C.’s Chinatown to suburban Orlando and adjust to FLORIDA. Set in the 1990s and starring a young 12-year-old character modeled after avid hip-hop fan Huang, culture shock is sure to be a large plot line, along with Uncle Luke, if the writers are really know their history. After reading the script, the Angry Asian Man blog says the storyline might be akin to Margaret Cho's All-American Girl sitcom and calls Fresh Off The Boat "worth looking forward to." The show stars Randall Park as Louis, Constance Wu as Jessica, Hudson Yang as Eddie, Forrest Wheeler as Emery and Ian Chen as Evan. Park stole my heart as the crazy genius grad student Ming in The Five Year Engagement, he was funny. Elsewhere, Cristela, starring writer-actress-comedian Cristela Alonzo who wrote the pilot, follows an ambitious Latina law student whose traditional Mexican-American family is worried she might be too career-driven. “She’s stuck straddling the old culture she’s trying to modernize at home with her working-class family and the modern world she’s trying to embrace in her professional career.” This show was the little engine that could in terms of being passed over by networks before this pilot season. But Alonzo emerged victorious, testing through the roof with audiences over established actors like New Girl's Zooey Deschanel or The Crazy One's Robin Williams and grabbed a fall lineup slot. Me thinks we can thank Shonda Rhimes' wild success with her diverse casts on Scandal and Grey's Anatomy for these pick-ups. Speaking of, Rhimes sold a Viola Davis-led drama slated for next fall called How to Get Away With Murder to air on Thursdays, leaving the night's programming all Shonda with Grey's Anatomy at 8, Scandal at 9 and Davis' show at 10. In addition, the Anthony Anderson-led Black-ish sitcom was picked up, according to the Hollywood Reporter, to follow Modern Family on Wednesday. The family comedy also stars Tracee Ellis Ross and Laurence Fishburne.